All-In-One CSS-free & Region-free DVD Playback/Backup/Author Tools Suite! 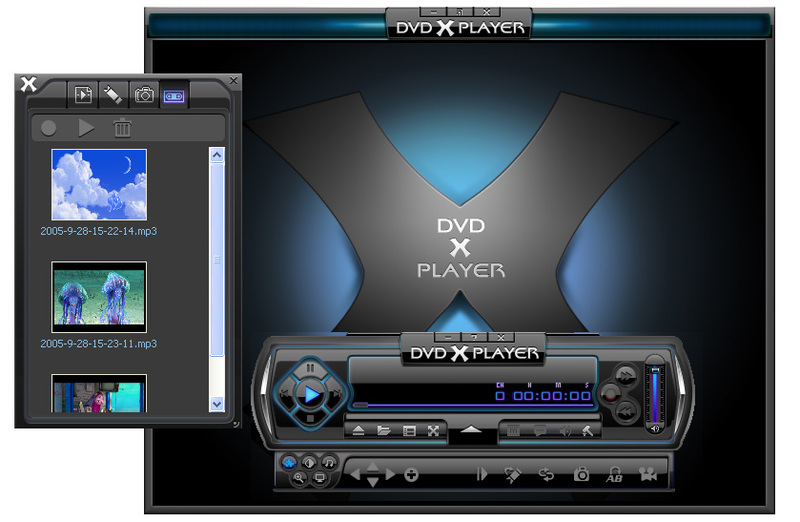 DVD X Utilities is an all-in-One innovative and unique suite covering the full spectrum of DVD video software. The cutting-edge function aggregate leverages your traditional DVD utilizing ways. With this comprehensive set of tools, you can release a region-blocked DVD drive or player, play DVDs without region limitation, backup a copyright-protected DVD movie and easily author your own favorite music DVD discs, and you even can make those third party DVD playback/backup software region-free and CSS-free. 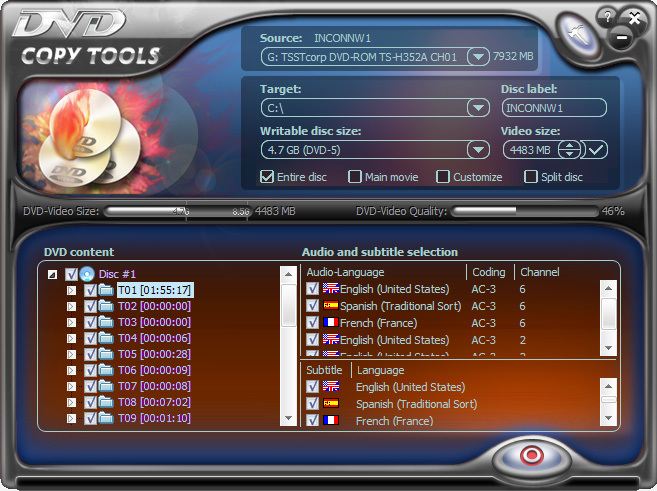 There are multiple separate DVD tools contained in, DVD Copy Tools, DVD X Player, DVD Ghost and Audio DVD Maker. DVD Copy Tools is a DVD movie backup utility. You can copy all of your DVD movie collections even those CSS-encrypted and region-protected discs. Without special setting, just one click the mouse, DVD Copy Tools will automatically remove CSS protection and region codes during copying. Perfect 1:1 copy, without warning & watermark as original disc, the copied disc works well with most popular home DVD player. 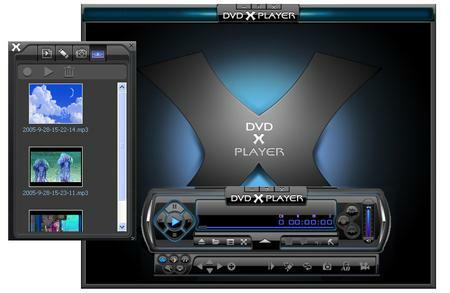 DVD X Player is the first region free/code free software DVD player in the world. Through this player you can play all region DVD on all DVD drives even if you have changed the region code 5 times. You needn't hack DVD drive (flash firmware) which is very dangerous. It's a powerful and easy to use DVD player integrating all functions of a standard DVD player. It can provide superior video and audio (Dolby&DTS) quality, together with other enhanced functions: e.g. 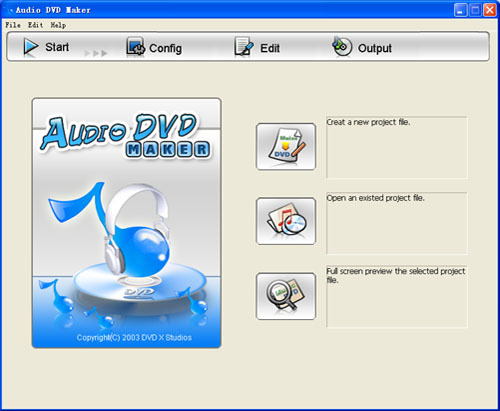 record DVD, optional skins, playback image and DV, image capture and bookmark, etc. Furthermore, it supports DIVX, MPEG4, RM, QuickTime, WMV, WMV-HD, MacroMedia Flash and popular media formats of Internet. DVD X Player can be extensively compatible with hardware, which is operated stable, smoothly under Windows 98\98SE\ Me \2000\ XP system. DVD Ghost : Watch & copy any region code CSS-encrypted DVD movies on any DVD drives! DVD Ghost is a very useful utility to make your software DVD players and DVD copy/backup softwares restriction-free, and copy/backup DVD to harddisk. It is a small, effective software working with DVD softwares. It is light on your system resources and resides in system tray. It removes all kinds of restrictions(CSS, RPC Region code, RCE, APS, UOPS etc.) from the DVD discs in the background. Through this software your player will be able to play all region DVD on all DVD drives with mismatched region code without changing the region code. You needn't hack DVD drive (flash firmware) which is very dangerous. 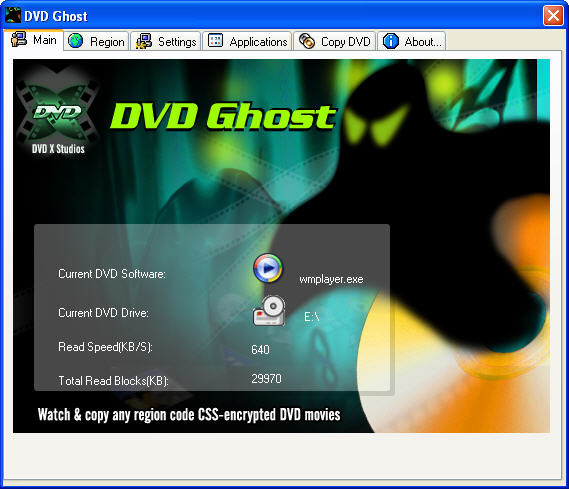 DVD Ghost also allows you to copy your DVD movie to hard disk if DVD copy/backup software not installed in your computer. Audio DVD Maker is an innovative utility for you to personalize your own music DVD. It allows you to convert all separate audio file (CD, MP3, WMA, WMV, etc) into DVD format; rip all audio track from video file with audio contained in; specify recorded audio file as input; burn your favorite music into DVD±R/RW disc or output to hard disk for storage. Audio DVD Maker supports all popular DVD media and dual-layer DVD-9 burner, the copied disc is playable on both PC and home DVD player. You even can freely add lyrics and your favorite image as playback background for each music file; freely add/remove/modify/arrange Title and Chapter. The preview function also enables you to experience the wonderful music DVD in advance. Possessing Music DVD Creator, You will store hundreds of songs on one DVD disc and stay far away stacks of CD.